and a high-energy, self-made success story. He is both an inspiration and a wonderful leader. Ron has a passion for helping small businesses achieve success. His experience in establishing and managing his own companies makes him a perfect ally for any business – big or small. Over the years, Ron has learned practical ways to systematically build your business and achieve greater efficiency, productivity, and profit. He will help you learn to manage your resources, sharpen your marketing focus, and increase sales and revenue. Ron has served as a successful consultant for start-ups, acquisitions, and turnarounds. While Ron’s business acumen is an asset for any venture, he has special knowledge in the auto industry, having built many successful businesses in auto salvage, rental, storage, and more. If you need a guiding hand to help with your start-up or existing business, call 817-834-3625 ext. 232. Let Ron entertain and inspire you at your next corporate event or benefit function. 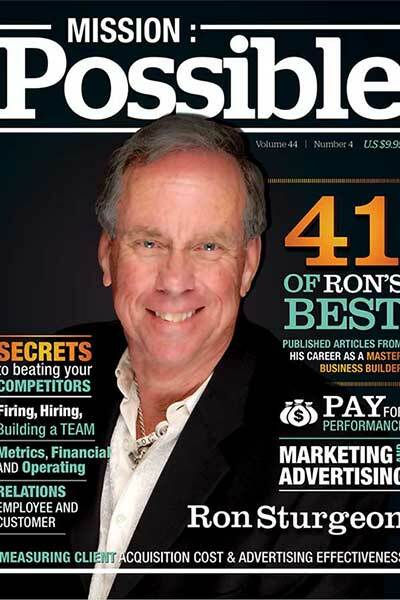 Ron is a dynamic motivational speaker who will share his rags-to-riches story of success with humor and humility. 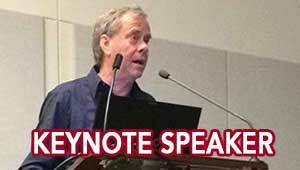 He delivers powerful and life-changing presentations that emphasize possibility thinking. 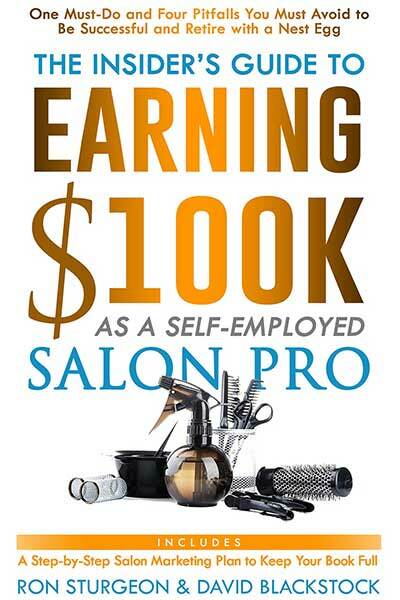 You will gain valuable real-life information about the nuts and bolts of running a business from a man who has done it himself. Ron has a remarkable ability to captivate an audience and leave them feeling energized and uplifted. Based in the Dallas-Fort Worth, Texas area, Ron has spoken at events on three continents. If you need an unforgettable speaker for your next conference, business meeting, or charity event, call 817-834-3625 ext. 232. The decision-making process can be daunting when the stakes are high and the outcome is riding solely on your shoulders. That’s why every business leader needs a strategic plan. Ron will help you evaluate your company’s strengths and weaknesses and formulate a practical plan for financial success. 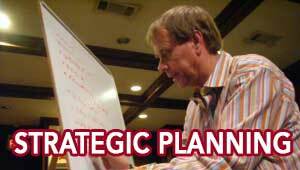 He offers individualized strategic planning for small businesses or you can attend one of his strategic planning groups and get ideas and input from other leaders in your industry. Learn what works and what doesn’t, refine your strategies for success, and discover how to be competitive in any economy. 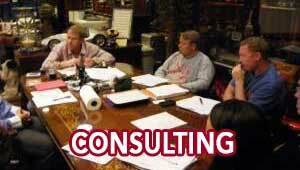 If your business could benefit from tried and true strategic business planning methods, call 817-834-3625 ext. 232. Ron has written and published books on many topics. 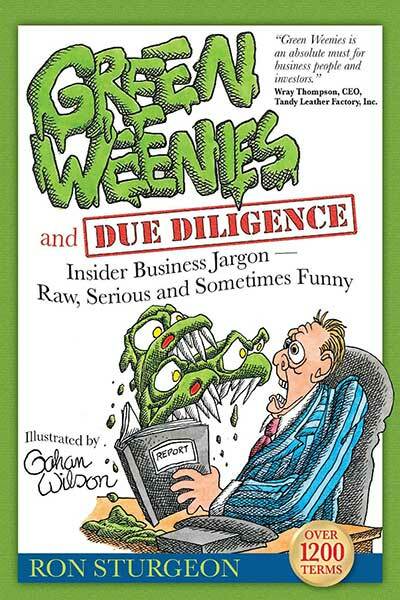 A few of his latest books include: Green Weenies and Due Diligence, How to Salvage Millions From Your Small Business, Getting to Yes With Your Banker, 409 Small Business Events, Peer Benchmarking Groups and Men Are Pigs. Not happy with how little your web site is contributing to marketing your business? Or thinking of putting one up? Ron can help you make certain that your website rings the cash register. So many small businesses put up a web site and don’t successfully unlock the web’s potential to bring them new business. Typically, the owner tells a web developer what he or she wants, or lets the developer guide the project. The owners “don’t know what they don’t know” and neglect important details. The web developer then puts up the site and everyone smiles and shakes hands. But no business comes, and the business owner is disappointed. Putting up a web site is strategic. You wouldn’t think of building a home without an architect and builder involved, would you? Ron has extensive experience working with developers to create web sites that work. He helps owners with web strategies and his white board meeting will help make a web development project much more profitable and rewarding for your company. The web can deliver amazing results, but you need to measure three times before you cut! Get expert advice from small business web marketing pro Ron Sturgeon.